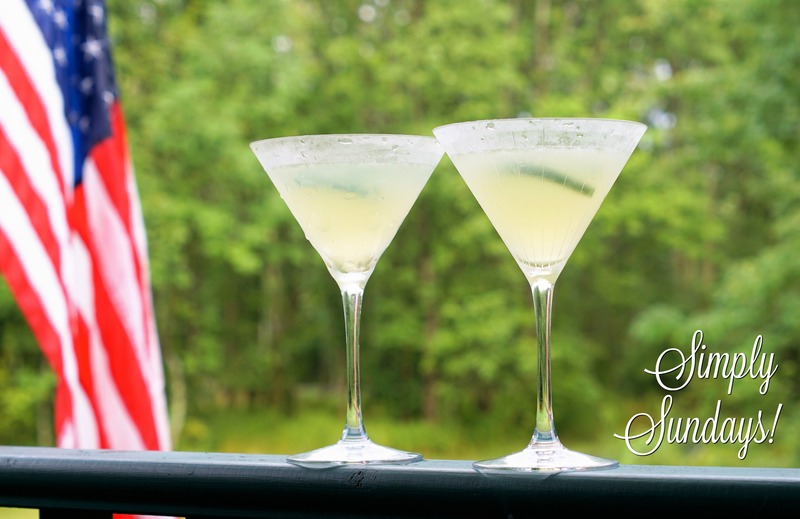 Cucumber ~ Lime Martini – Simply Sundays! Even the name “Cucumber~Lime Martini” sounds refreshing, doesn’t it?? We actually infuse the simple syrup with shredded cucumbers! Oh, the flavor! At this point, you can chill until you’re ready to make some delicious cocktails! Double, triple or quadruple depending upon the size crowd you have. Or heck, make up a pitcher! Years ago, one of my friends showed me this neat trick to chill your martini glasses. Fill your glasses with ice and cold water and dump out right before you’re ready to add in your cocktail ingredients! Pour the deliciously refreshing ingredients into chilled martini glasses and enjoy!